Goal – Overview of PBL, prepare teachers to ask questions that will result in authentic PBL in the classroom. Expose teachers to career resources in the county and highlight ways OMJ can help with PBL scenarios. 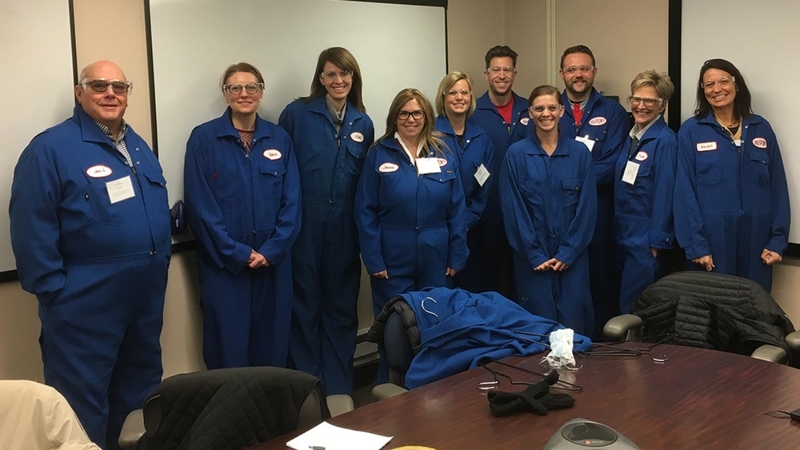 Goal – Teachers experience the tour looking for real-world connections to the classroom and increased awareness of local career pathways and opportunities. Goal – Teachers look for real-world connections to the classroom and increased awareness of local career pathways and opportunities. Goal – ​Teachers experience the tour looking for real-world connections to the classroom and increased awareness of local career pathways and opportunities. Goal – teachers leave with increased awareness of local career pathways and opportunities, as well as authentic PBL starting points and contacts.